I think there is one person i can thank for me seeing this (And for the second time), Jack L (You can find his awesome reviews there). 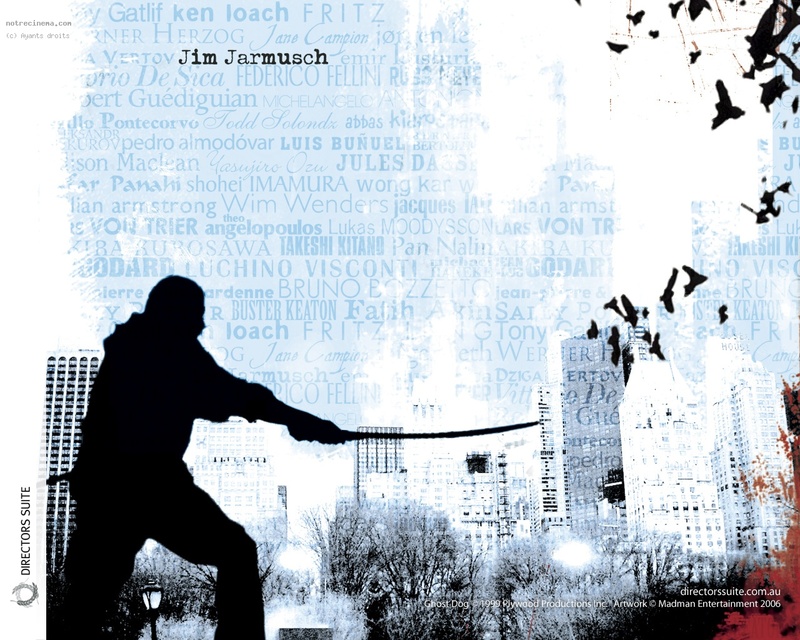 He seems to really like this work of art and amazing tribute or homepage too any thing samurai and of course Jean-Pierre Melville film Le Samouraï. (I did something sort of diffrent with my review, keep with me). hitman this proves to be a huge mistake for them. This film really works on three levels. 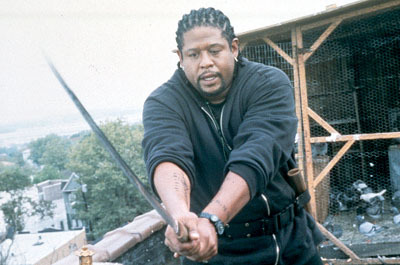 First is the duality of the film's coolness factor and the strength of Whitaker's performance. Whitaker radiates cool in this film. In every scene and every frame, through both action and inaction we know he is being of awesome power. His performance is note perfect. There's one scene where a grievous wrong has been done and we see Whitaker absorb the devastation, then he narrates that when a making decision it should be done in the space of seven breathes. Once that decision is made and we realize Whitaker's full fury will now be unleashed upon his enemies, it sends a tingle up the spine of the viewer. Whitaker's resolve shines through the screen and through his subsequent acting the pace builds until we reach the film's ultimate battle, which is a really, really good fight scene-one of the most satisfying ever filmed. Furthermore we have the film's philosophy. This aspect of the film is the most important of all even more so than Whitaker's superb performance. As the film's tale unfolds we do need learn about the Way of the Samurai through the eastern philosophy Whitaker espouses as he narrates the film. Often times the film breaks from the action just to linger on the narration and let in sink in. It's a technique that helps set the tone of the film and makes it a completely absorbing experience. The third thing that the film does really well is it is character and not plot driven. At least just as much time is spent following Whitaker through his day to day life as he interacts with people in his community as is spent on the action parts of the plot. In many ways the film works as commentary on the values of modern society. The scenes with Whitaker and his best friend, a Haitian ice cream vendor provide this film with true heart and soul. We see repeatedly that the two friends can understand each other because they are at peace with the world and in tune with their surroundings, so that their bond transcends mere language. 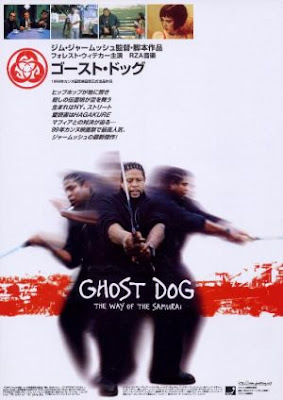 Ghost Dog also has a touching relationship with a young girl that he hopes to impart his code to so that she may one day have the tools of knowledge necessary to escape life in the inner city. These are characters that would have been interesting a two-hour film just living their lives without the samurai and hitman aspects of the film. However both aspects work exceptionally well, the effect taken as a whole make this one of the best films of the past few years. Besides Whitaker and his friends, one other great performance is given by Tricia Vessey as Louise Vargo, the young girl that sets all that happens in motion. It's a small part but a key one that she does an admirable job with. If there is a flaw with this film it is that the gangster villains are unnecessarily racist. These scenes are somewhat jarring on first viewing, but are at least consistent with the film's ultimate tone that the gangster's way of life is dying, while the code of the samurai is timeless. It is no coincidence that all the mobsters are much older than Whitaker. 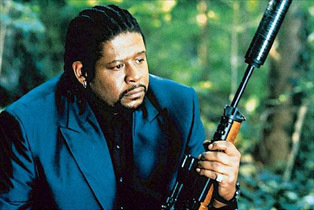 Both characters note numerous times that the world is changing, the difference is the gangsters say it with fear and trepidation, while Whitaker notices it as observation. Like the changing of the wind the changing of time and circumstance is neither good nor bad when weighed against his code. While Whitaker deserves infinite praise for his performance, almost just as much praise must be given to director Jim Jarmush. His directing of this film is quite daring and even more skillfull. His approach to the narration is unusual and yet it works on multiple levels and lets us this is a film more about tone than action. The character driven film is a rare commodity. Most films are plot driven moving from point A to point B with no more creativity than a child connecting a dot-to-dot. Here we have a film that starts with its characters and lets them live the lives they've always lived before the central plot elements invaded their existence. The plot is addressed in a timely enough manner, but we see the characters have their own commitments to fulfill too. It's a hard trick to make a character driven film really work without seeming disjointed or slowly paced but Jarmush succeeds masterfully. 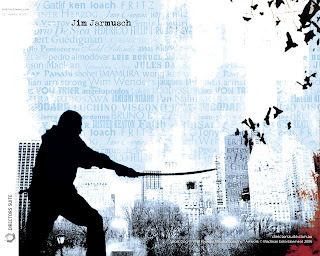 Jarmush also fills the film with other references in the background that emphasize the character's natures-such as book on bears or the dialogue of a few cartoons here and there. Many films of try to do this, but few films I have ever seen do it as well as Ghost Dog does. A final note, the ending of this film that is one that will be very divisive. People will either love it or hate, personally I loved it. It is an ending that is true to all that his come before for both the characters and their conflicting codes but also one that is both surprising despite being adequately foreshadowed. Nice. Good review. Will check this out. You are so nice. Thanks. I heard this was good, and can never really go wrong with Whitaker. Good review.